In the initial years of my digital marketing career, I believed that blogs were an intensely personal thing. I was a novice and did not know the rules of the game. And while I blogged about bad dinners and girlfriend trouble on my personal blog, other, more informed bloggers sourced millions worth of customer interest through their words alone. It was in the later years, after a plethora of experiences in digital marketing, that I realized- a personal blog is as good a promotional tool as your corporate blog. It’s Personal– Corporate blogs are expected to be serious, singular and focussed. Most ardent readers will not be able to make an immediate connection as compared to a reader who happens to be a subject matter expert. A personal blog on the other hand is a fine cocktail of personality, expertise, humour, knowledge and interaction. In simple terms- Easy reading!! It’s colourful– One of the most inspiring blogs I ever read dealt with about a dozen methods of making the perfect omelette. It helped that a number of these styles were explained with brightly coloured pictures that hit my appetite as much as my eyes. A personal blog allows for radical experimentation in pictures, themes and content. It appeal to the romantic and kid in us. It masks an agenda– An informed reader knows that anything and everything available online has a set agenda. Ergo, all content on the World Wide Web is a digital marketing effort to prompt you into buying into an idea, service or product. While a corporate blog makes no bones about what its agenda is, people are more likely to be receptive to ideas that are masked with friendly, free writing. It’s popular– Everyone is doing it, and the numbers are staggering. About 100,000 blogs are created on the WordPress platform each day; at the end of 2011 there were 181 million blogs- a 5 time increment from the numbers in 2006. 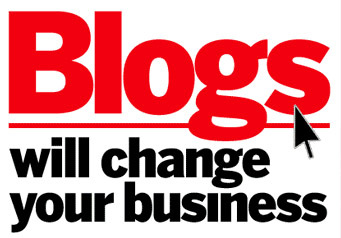 The point is- blogs are a popular platform for exchange of ideas and stating a viewpoint. Also, bloggers are supportive of other bloggers, who aren’t seen as competition but fellow crusaders on a holy cause. It’s adaptable– Fresh content makes the internet go round and round. The digital marketing fraternity utilises blogs as powerful tool for promotion with corporate blogs being a definite fixture on any corporate website. Facebook has changed its policies to encourage blogging (Remember the time when FB statuses were limited to just 140 characters?). Google+ is considered a blogger’s haven. Tumblr (hope it survives its dance with Yahoo!) brings a refreshing twist to personal blogging. So, get up, grab that computer and start blogging. You don’t have to be an expert, an admirer of Shakespeare, or be able to charm a rattlesnake to compile that perfect blog. What you need is intent, interest and inspiration- and this little sustenance trick called Persistence. This entry was posted in Biz Updates, Digital Marketing Strategy, Search Engine Optimization and tagged blogging for seo, digital marketing company bangalore, digital marketing services. Bookmark the permalink.